Occasionally, our patients need a little extra help maintaining healthy teeth. Even regular brushing and flossing will not protect teeth from wearing or cracking due to excess pressure. Patients often come to us complaining of tooth pain or pain in their jaw, and wondering how to alleviate the pain. Many of these people suffer from bruxism, or teeth grinding, and do not even know it. Others play sports regularly, or have children who do, and have problems with teeth coming loose or breaking due to contact. They take all kinds of precautions, from wearing pads on their knees and elbows, to protecting their ankles with shin guards, but they fail to think about protecting their teeth. At Docklands Dental Studio, our doctors can create a custom fit mouth guard for you or your child, to protect teeth from the excess force of chronic grinding and the outside forces they are exposed to in contact sports. To learn more about mouth guards, call our Docklands dental office today at (03) 9021-9487. Most patients who suffer from bruxism grind their teeth while sleeping, and don’t even realize it. Our dentists can see the signs of bruxism in the wear and tear of your teeth, and can help in its diagnosis. 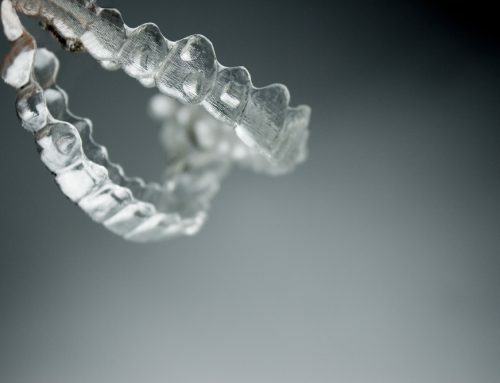 They generally recommend that our patients with bruxism wear a night guard. Night guards fit snugly over the teeth. Helping to keep the top and bottom teeth from meeting, and effectively eliminating the grinding. 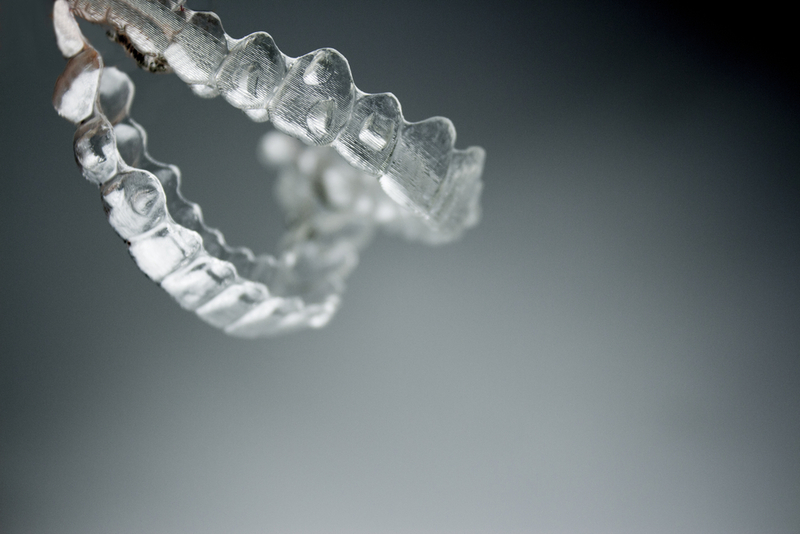 We can also design mouth guards for our patients suffering from sleep apnea. This condition results when the muscles around a patient’s throat and tongue relax, blocking the airway during sleep and causing the patient to stop breathing. This dangerous condition can lead to diabetes, high blood pressure, and even heart problems. Our doctors can provide a night guard specifically for sleep apnea patients. The custom-made guard forces the lower jaw forward, keeping the airway open while the patient sleeps. The guard works wonderfully for patients with mild to moderate apnea. Patients participating in sports and other activities that put them at risk for an injury to the mouth should wear a mouth guard at all times. 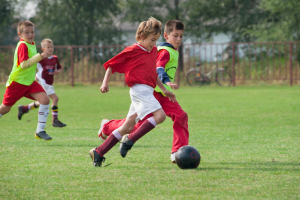 Unfortunately, many sports leagues for kids do not require them. Kids who participate in solo sports like gymnastics, or who ride skateboards with their friends are also subjected to the danger of injuring their mouths and damaging their teeth, yet most people fail to consider a sports guard at all in these cases. Our doctors recommend sports guards for all patients who participate in activities that may lead to mouth injuries. Stock night guard – You can find this option in your local drugstore, and it usually will not cost much money. Stock guards usually come in one size, and many patients find them bulky and uncomfortable. The guard may not provide a secure fit, and can actually fall out when grinding begins. Boil and Bite – You can usually find these guards in your local sporting goods store. Place the guard in boiling water until it softens, then bite down on it, allowing it to conform to your bite. These guards typically fit better than stock guards, but may still fall out when sleeping. Custom Guard – Available only from your dentist, a custom mouth guard provides the best fit and protection. The dentist will take impressions of your teeth and forward them to an offsite dental lab. There, dental technicians will fabricate your guard. Because the guard comes custom fit for your mouth, it will stay in place throughout any activity, whether running up and down the pitch, or trying to get a good night’s sleep. To learn more about the benefits of mouth guards, call our Docklands dental office today at (03) 9021-9487.